This is not just another ‘isn’t dementia awful’ moan. It is a very honest and clear account of five years of a son looking after his mother - at home, in care homes and hospitals. The author knows nothing about the condition when he embarks on the journey, seeks no help apart from that of social services, and apparently reads little about it. Nevertheless he follows his instincts, and learns by doing - fortunately he is a natural carer. Humour is a major strength and he says ‘Even when your patience is tested to its human limits, try to see the humour in it, for humour there always is, and if you can laugh, then you can carry on.’ He meets his match, though, when the attitudes of one of the care homes and both of the hospitals would wipe the smile off anyone’s face. Slevin is a great raconteur, and the book is a page-turner. Many of the pages made me laugh out loud. The little girl in the radiator is seen as a hallucination until one day the author realises that to his mother the little girl is herself. 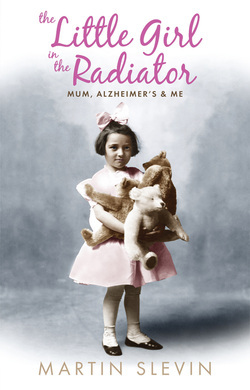 With characteristic sensitivity he comments “It would be no exaggeration to state that the little girl in the radiator had become my mum’s only constant, a dependable anchor and friend in a vast uncharted ocean of uncertainty, confusion and change.” A marvellous book.